Some princesses sit on their thrones all day, demanding tea and cake. But not the Rescue Princesses! These girls have lightning-quick ninja skills. Their sparkly jewels have magical properties. And they’re on a mission to help animals in need! Princess Scarlett is always dreaming of big adventures. And now she’s about to have one for real! 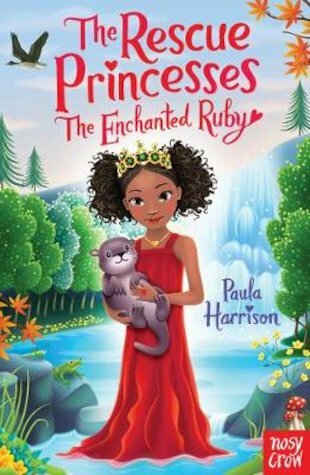 When two princesses come to stay at Bearbrook Castle, she takes them to visit a secret island in the river. Then a fluffy baby otter is injured by a passing boat. Can they rescue him and get him back to his family?